* Flashback – field trip in college to the mountains of East Tennessee and I ended up with stoner friends. Lovely scent memory. * The smell of weed gets stronger and more dense while turning sweeter and skankier at the same time. * Flashback #2 – stoner friend’s dorm room after he got really baked. He was mellow but upset because his roommate spilled bongwater on his prized leather jacket, which drenched it. That dirty leather jacket soaked in dirty bongwater – another lovely scent memory. * The base brings in some sweet resins and dry wood but that bongwater smell still dominates. Summary: If you want a fragrance that makes you smell like you got baked in the forest – try Blackbird. The juice is dark, green, and long-lasting. Just like the smell of weed on clothing, it doesn’t really leave your skin – it gets sucked into your pores and you won’t escape it for at least two showers. While I respect the fragrance for what it is – as I do anything so long-lasting – this is not a scent I see myself wearing ever again. Wearing it to the club, someone actually asked me “hey, having a 420 day?” For a trip to the forest, I would much rather reach for my bottle of Slumberhouse Norne- or if I want dark sweet incense resins – that would be Illuminum Black Musk. This is clearly NOT office-friendly – wearing it to work might lead to you being asked to take a drug test. Sillage is massive – everyone around you will think you are baked even after you leave the room. 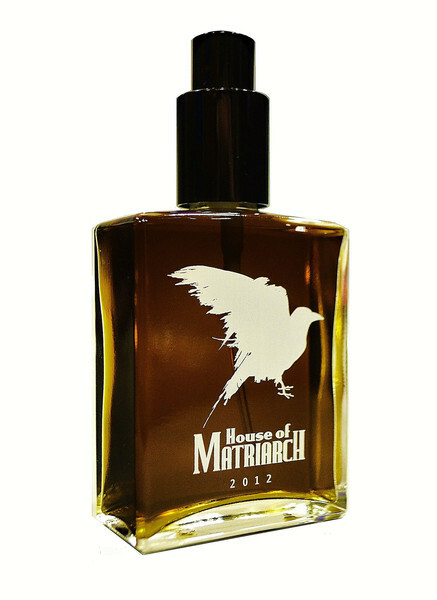 Smelling this makes you realize why the House of Matriarch call themselves a HIGH perfumery. As unappealing as this may sound, I would suggest you skin test it because it has a cult following and wearing it is definitely an experience. Apply lightly though – one spray is MORE than enough. House of Matriarch Blackbird is available from the House of Matriarch website. No disclaimer neeeded – purchased decant. Image courtesy of House of Matriarch website.